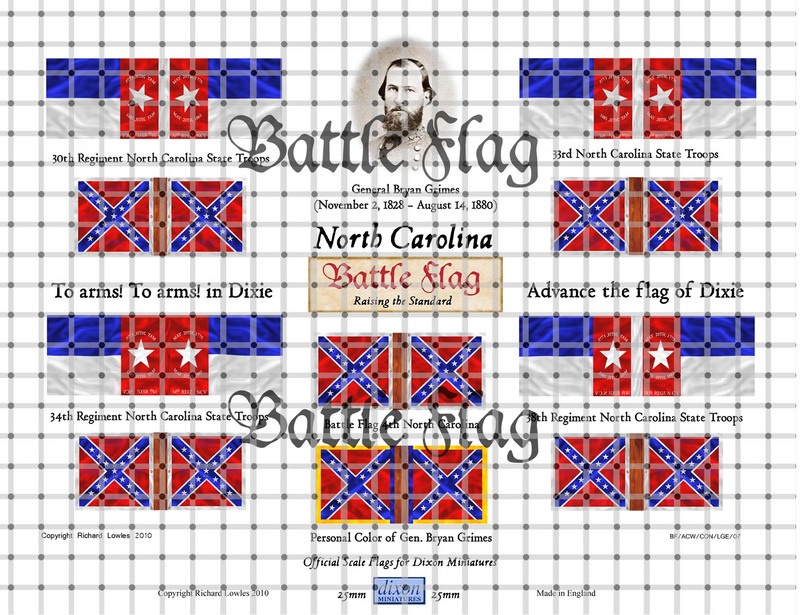 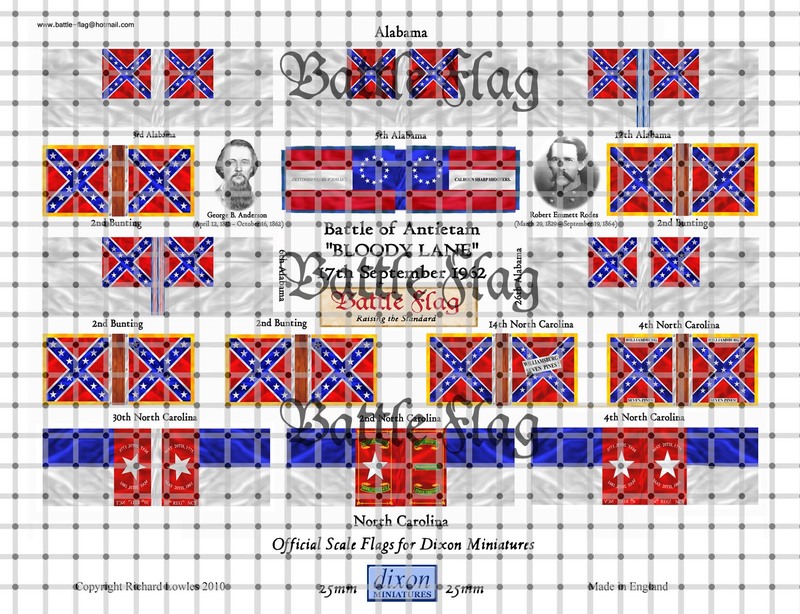 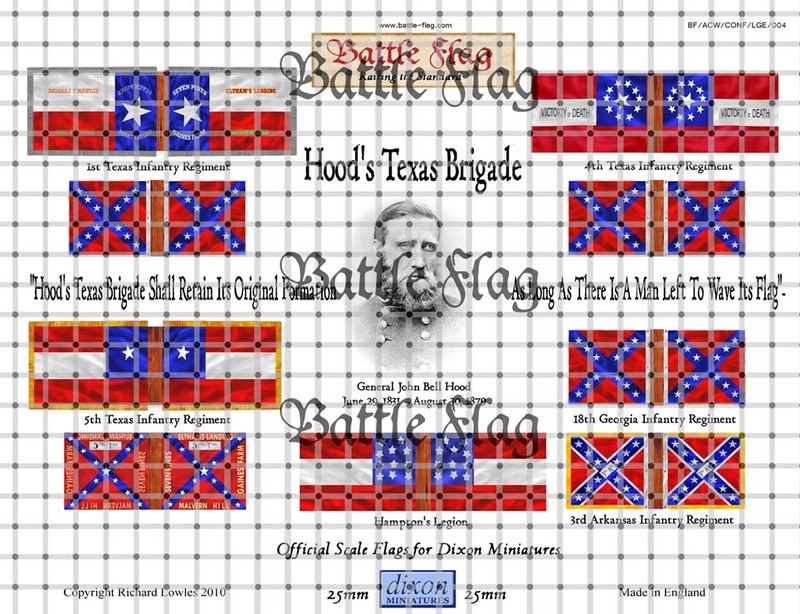 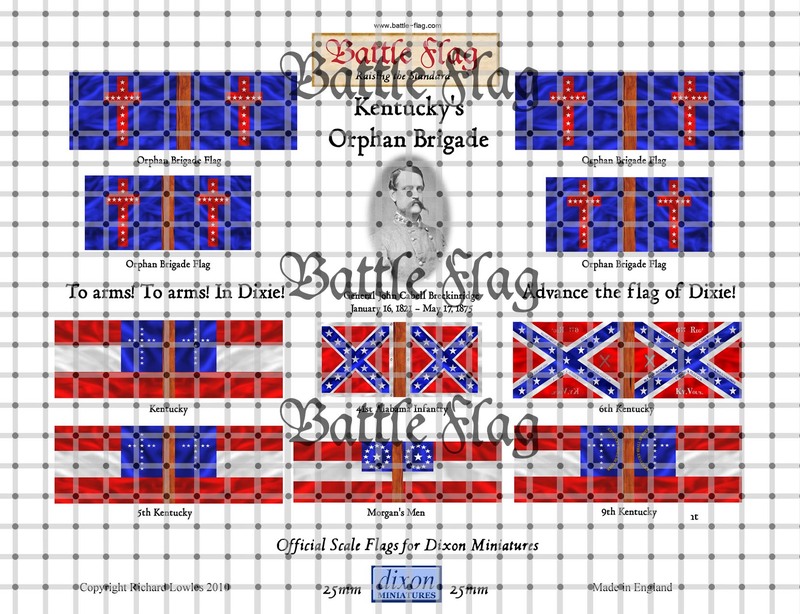 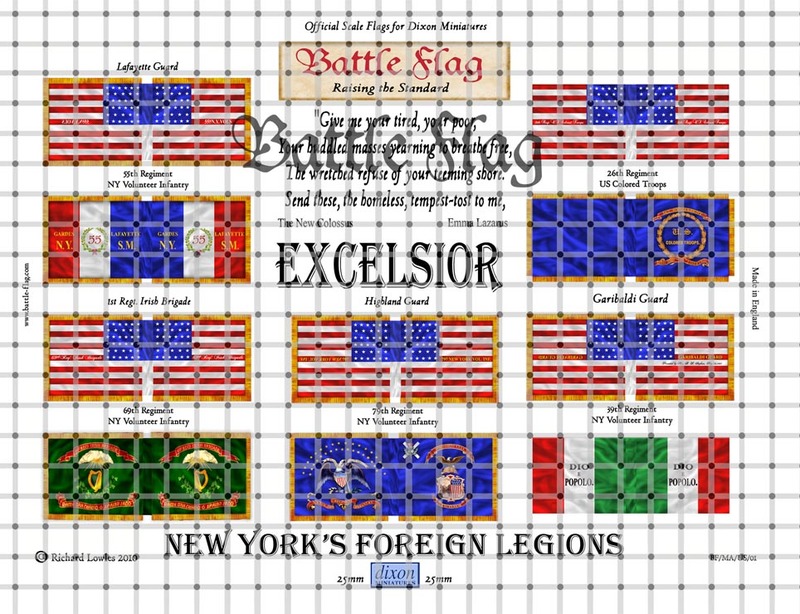 OFFICIAL DIXON MINIATURES WARGAME FLAGS BY BATTLE FLAG. 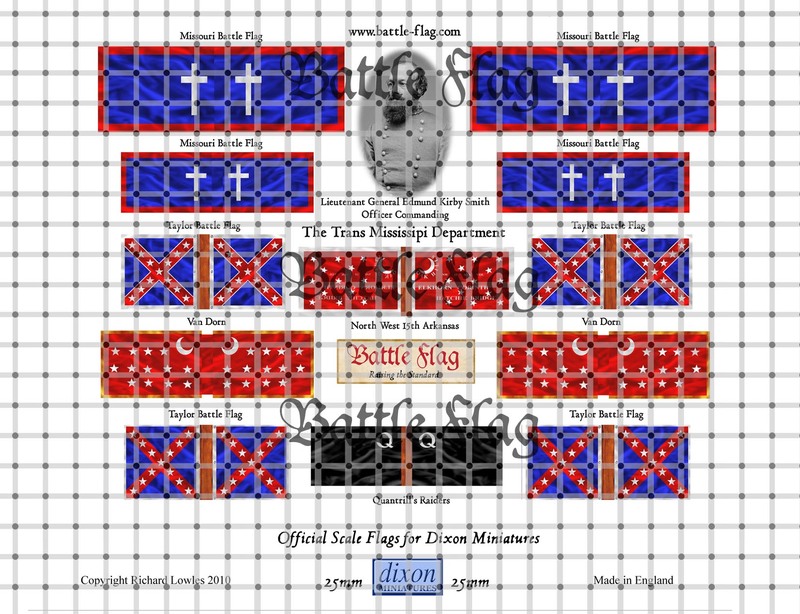 In conjunction with Battle Flag, Dixon are proud to present this superb range of beautifully designed and printed flags, specially adapted to fit our extensive range of figures. 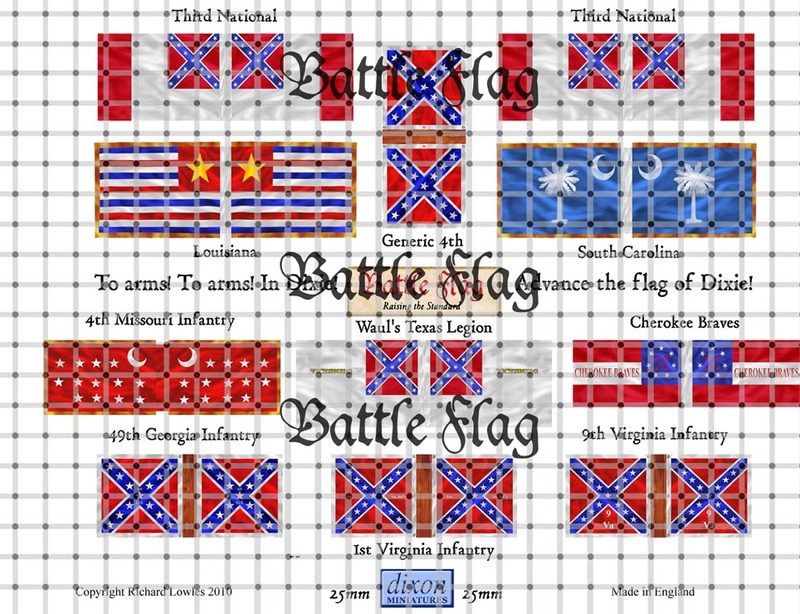 Using archival quality inks and printed on museum quality papers for imaculate definition, these flags are a must for any wargames army. 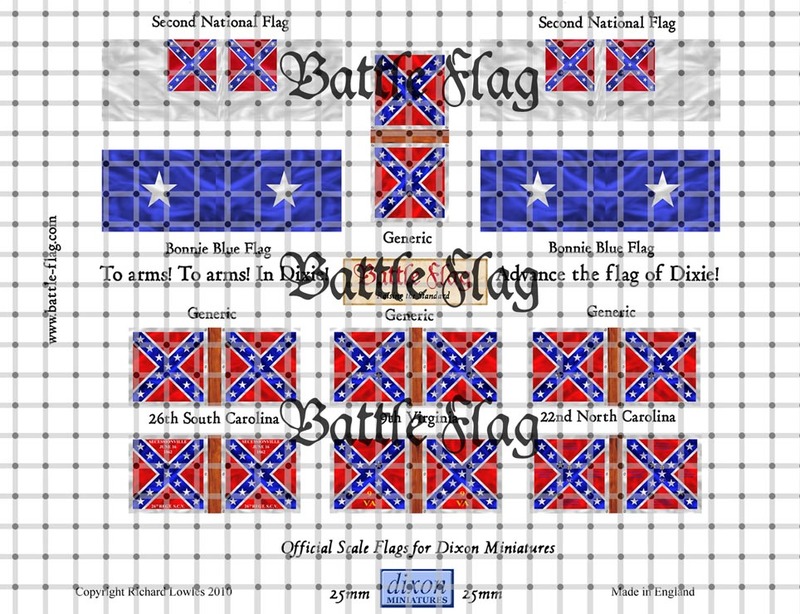 Flags for other ranges will be available soon. 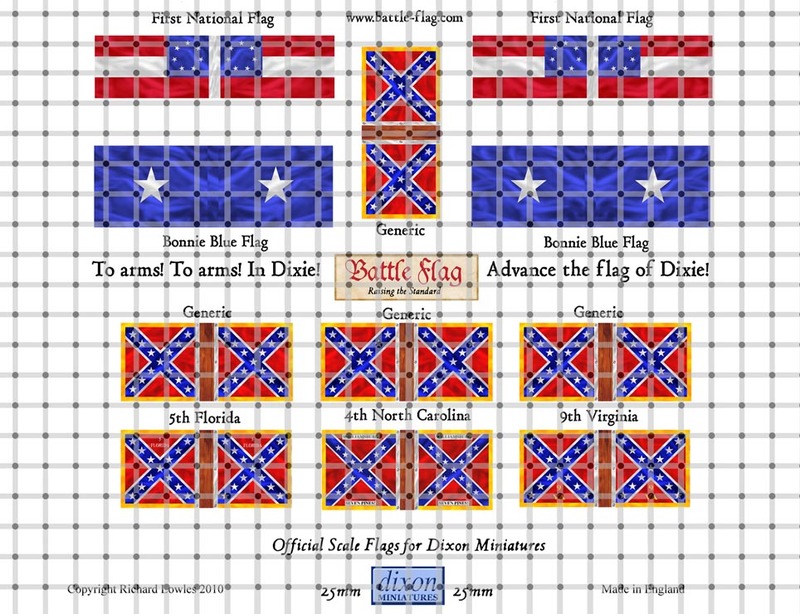 Images are shown larger than actual size.